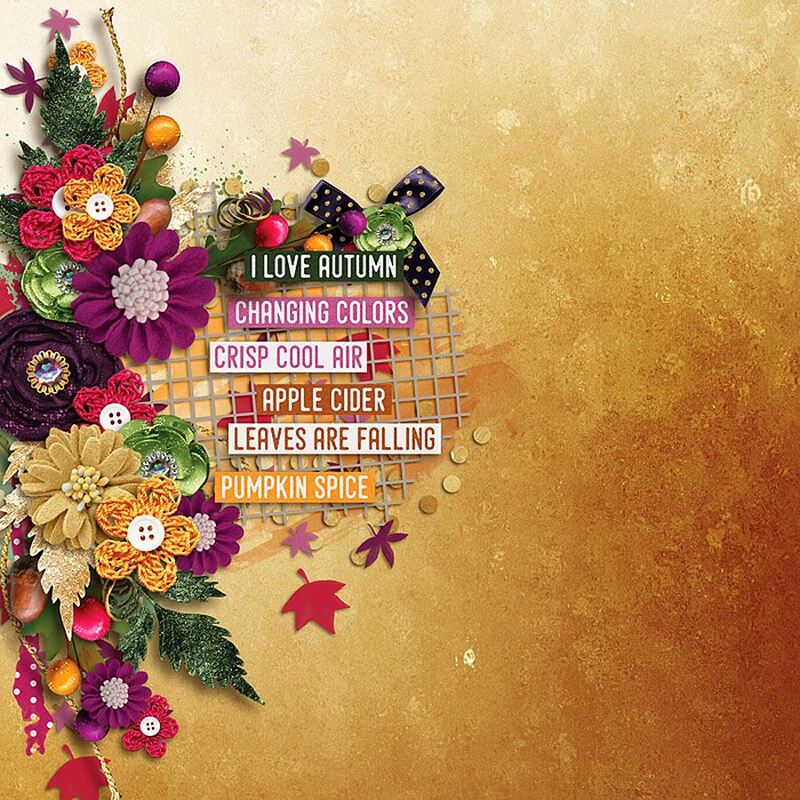 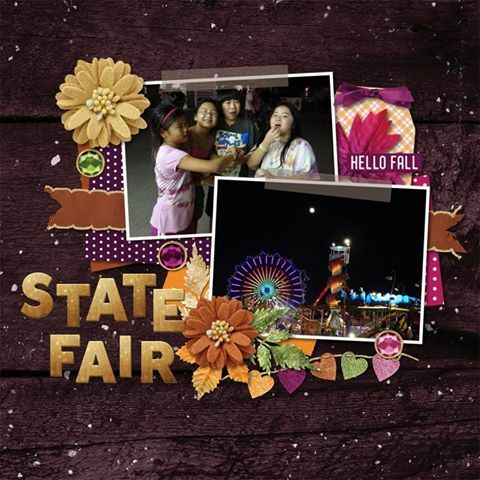 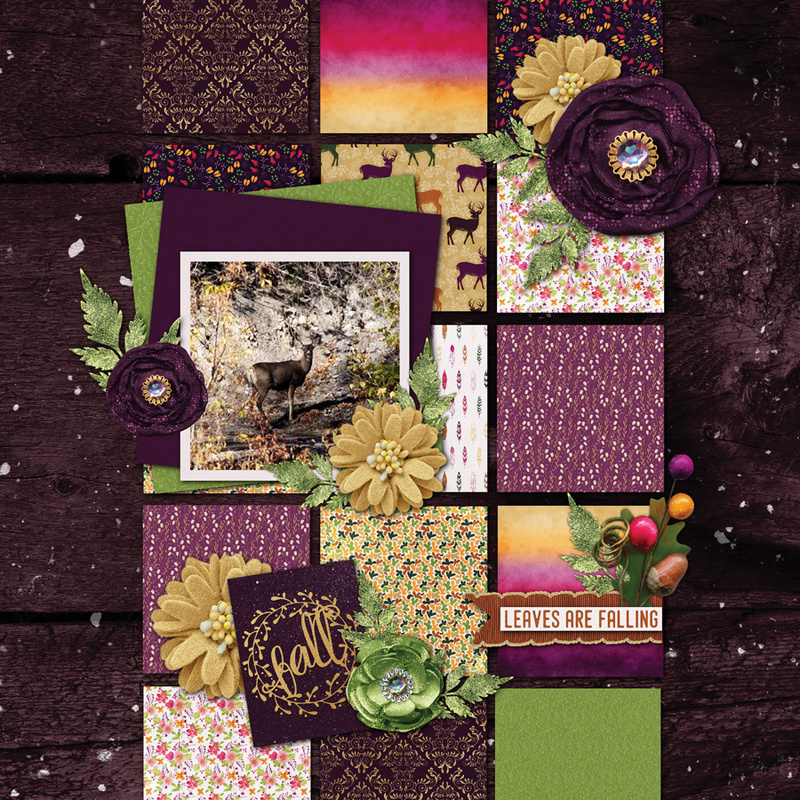 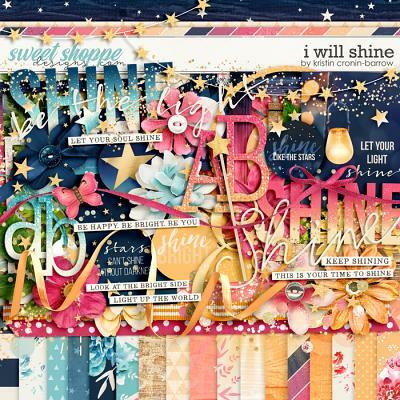 A digital scrapbooking collection by Grace Lee, Fall into Autumn is filled with lots of watercolor, glitter, and a palette of gorgeous jewel tones inspired by nature's autumnal colors that will compliment your fall photos perfectly. 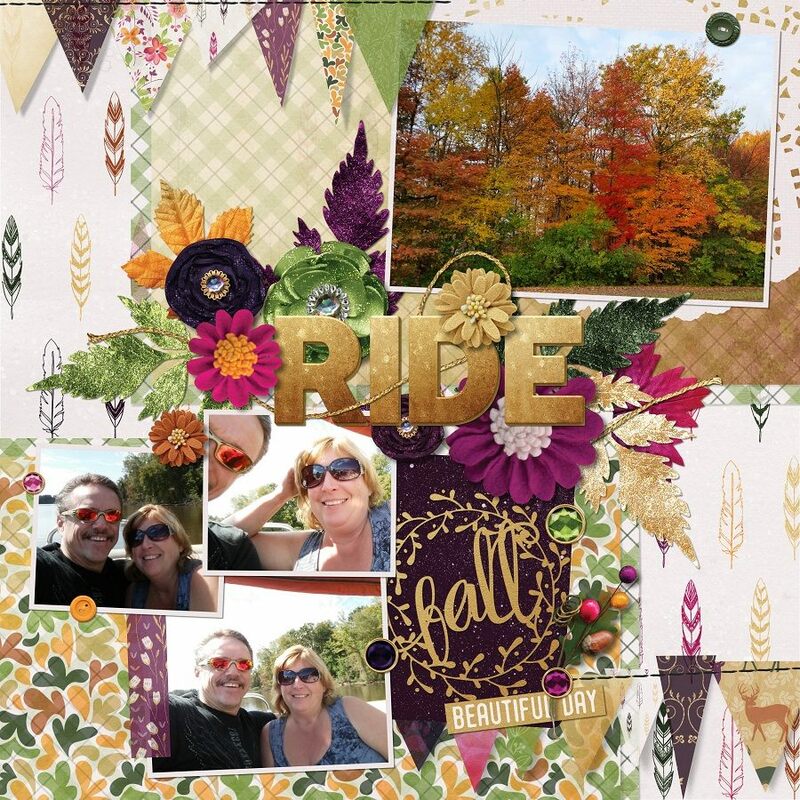 It reminds one of cooling temperatures and changing colors of the trees, as well as sitting around a bonfire and cozying up in a blanket. 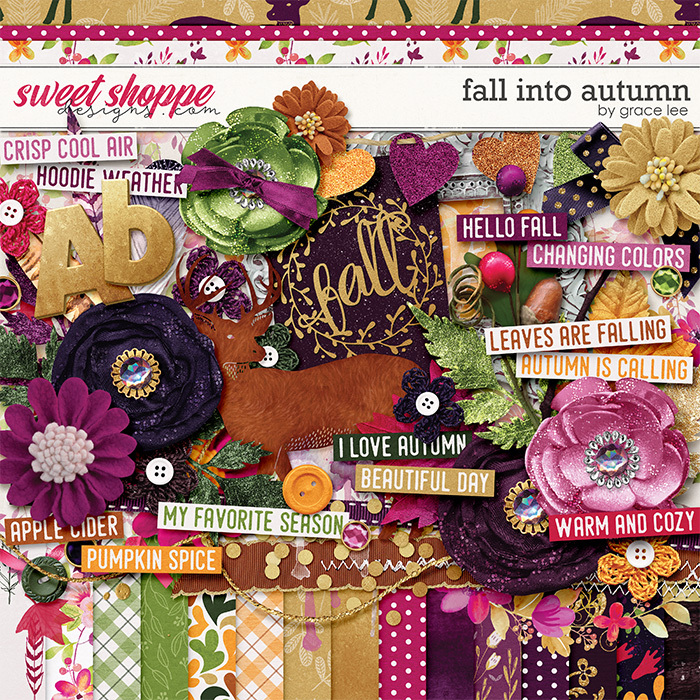 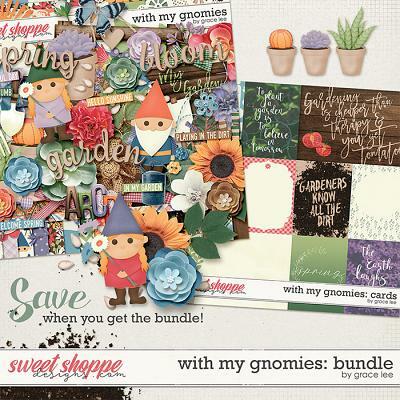 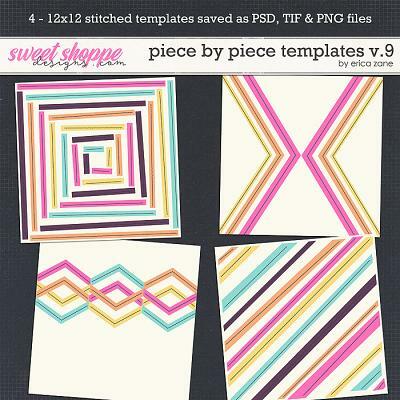 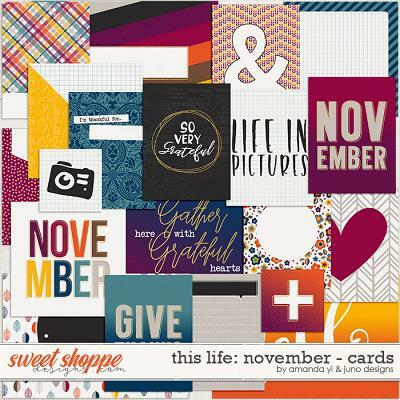 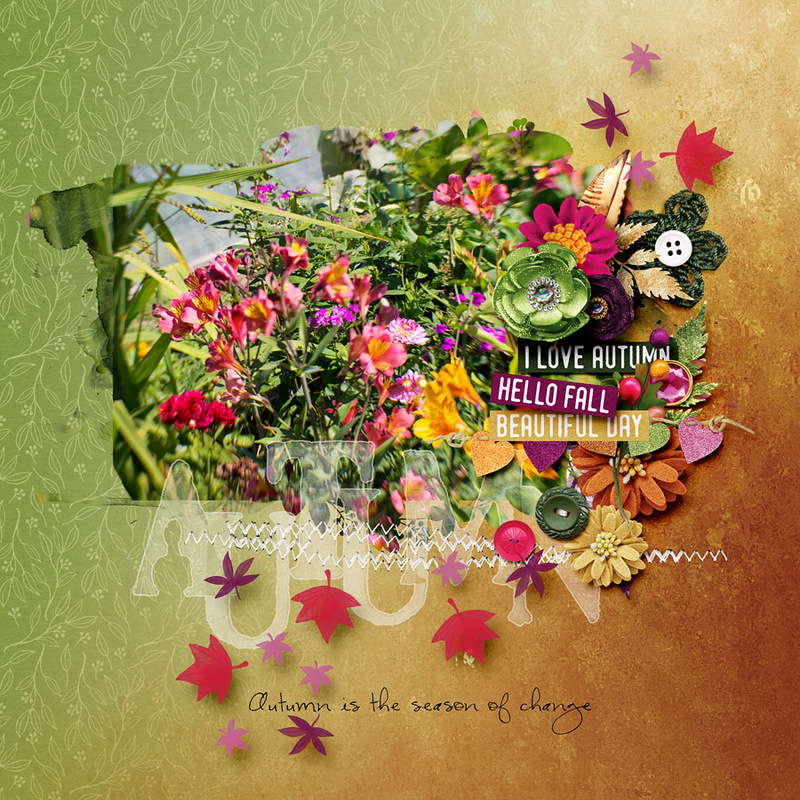 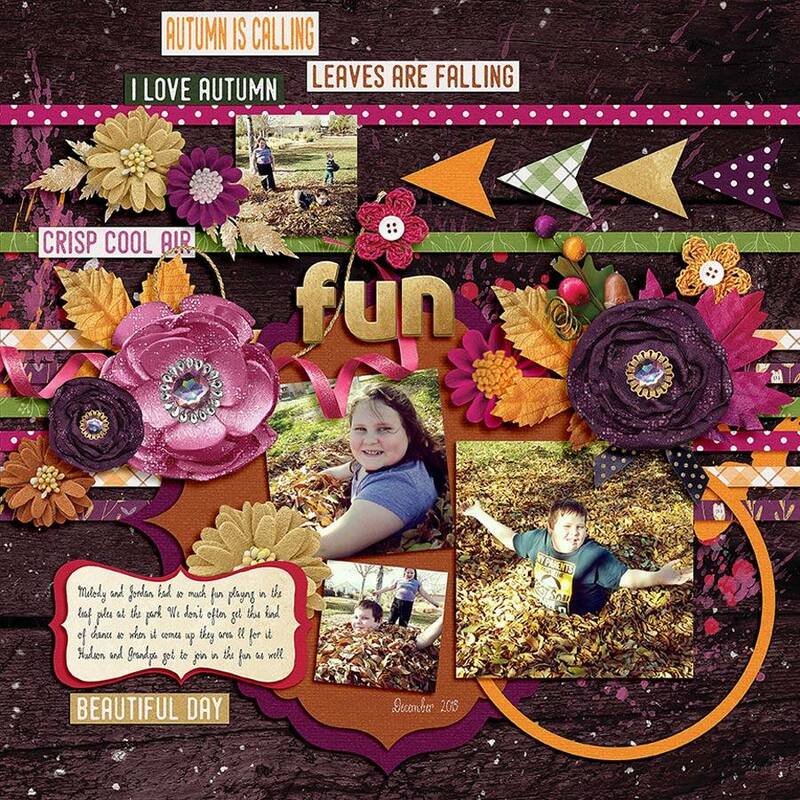 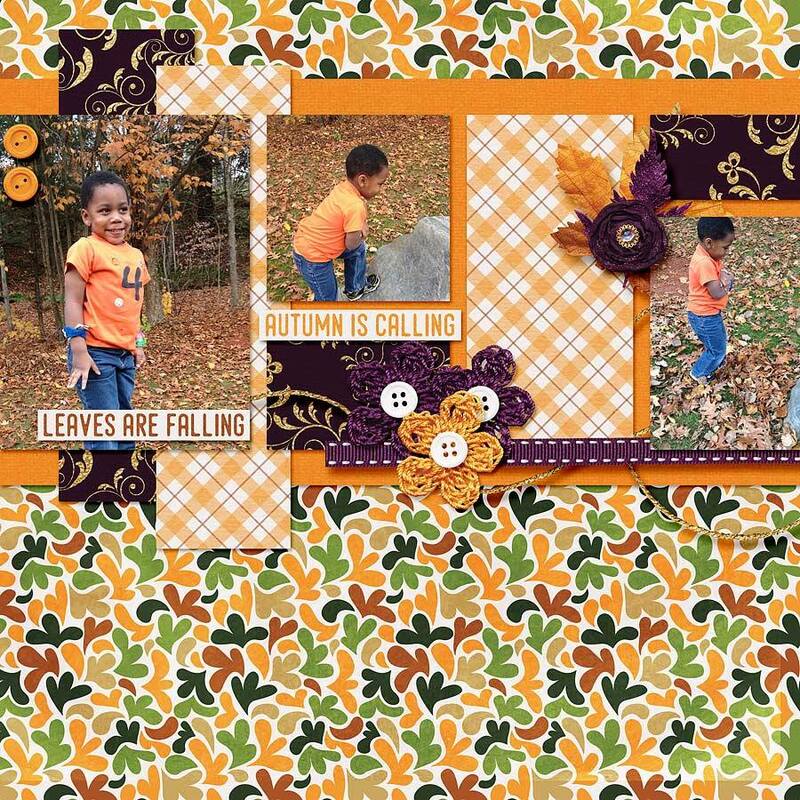 If you love the beautiful season of fall, you'll love this kit!